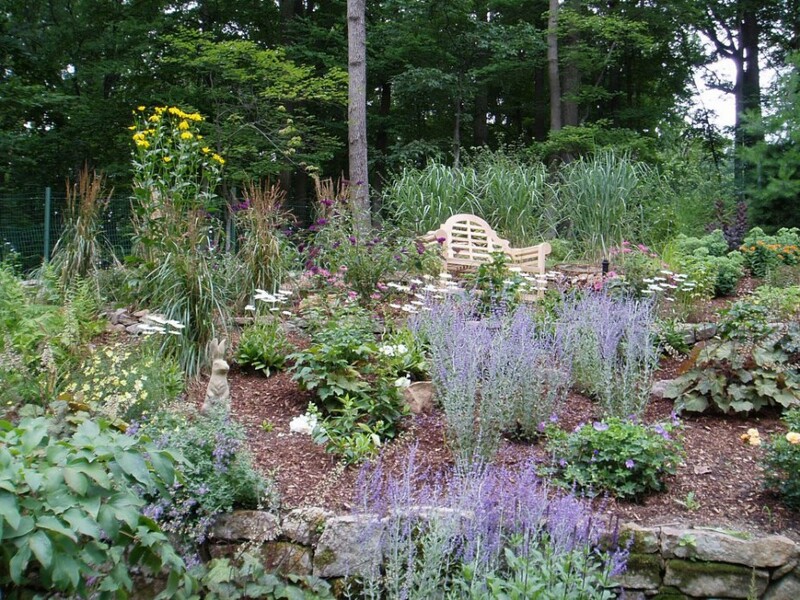 Designing perennial garden mostly incorporates three basic steps: prepare the soil, plant them together, and care for them. The great thing of the perennial flower is all-year blossoms. Layout the flowers is the most difficult one. When it deals with limited space, however, the difficulty will be double. 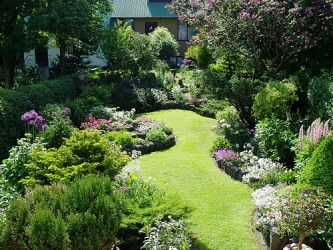 Just because you have small garden, you cannot create a beautiful flower garden. The key success is creating a clean, simple look that works within the smaller area and finding ways to use the space you do have so your garden has maximum impact within your landscape. Group the same plantings. 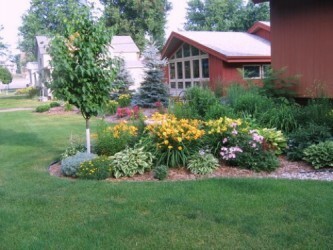 Massive planting is better option in small flower garden, since you are dealing with limited space. 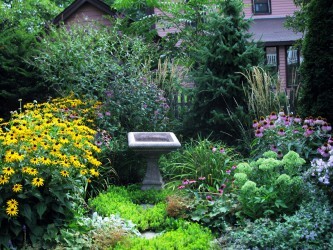 Focusing on one or two types of plants and creating groupings within the garden creates a unified look that helps make your garden feel larger. 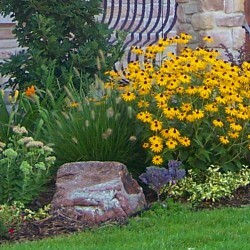 Shrubs that provide colour year-round and perennials or annuals with bright spring or summer blossoms are usually a good combination. In addition to plant type, the colour and shape of your flowers matter too, so it is best to choose a common thread for your plantings, such as red blooms or bell-shaped flowers. 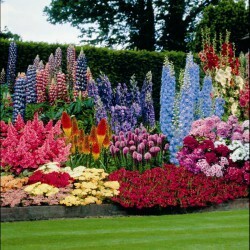 Do not put too many varieties of flowers; your small garden will look crowded. If your garden is long and narrow, the height of your plants can play a significant role in how cramped the space feels. Tall flowers create a tunnel-like effect that accentuates the dimensions of a small garden, while plants that grow a little lower to the ground give the space a more open feel. You can go with a ground cover option like the Dark Freckles violet (Viola sororia), which produces lovely purple-speckled flowers, or Mazus (Mazus reptans), which also provides striking purple blooms in USDA zones 4 to 10. For taller options, zinnias (Zinnia elegans) can reach heights of about 1 foot. Consider raised beds. 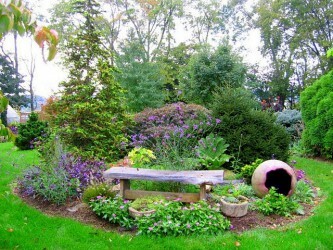 Raised beds are an ideal way to maximize space in a small garden. They also provide deeper topsoil for plants to grow in and allow you to create several levels for plants above the ground. A variety of materials work well for raised beds, including wood, brick and concrete. For more flexibility and economical choice, wood is the least expensive material for the beds. 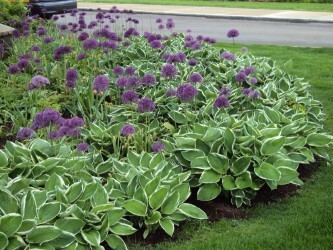 It also offers a simple, natural look that blends well with most landscapes, which can help in a small garden space. Vertical gardening. 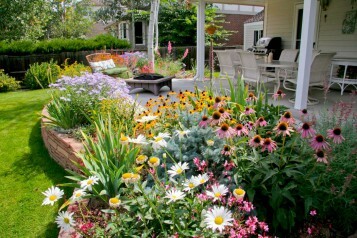 Dwelling a townhouse living space such as apartment or condominium is not a big deal for small flower garden. 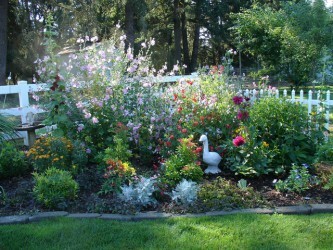 The only way you can create flower garden is using vertical space. 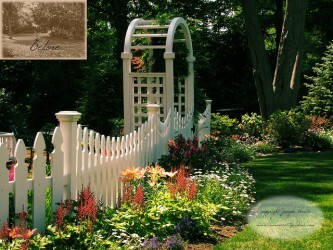 A trellis or lattice panel can easily fit against a wall or fence, so you can train climbing vines and flowers to grow over it. 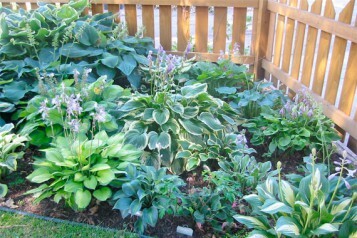 Alternatively, container plants can be hung on a fence or wall. Re-purposed canvas shoe organizers make ideal hanging planters with pockets for multiple plants. 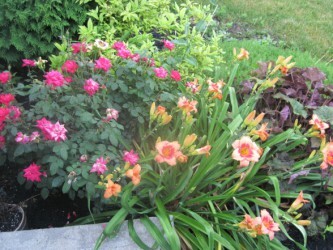 They are also easy to install and fill with your favourite flowers even in the smallest garden space.